Here's to the fields that take a pounding and the men and women who make them beautiful and ready for play. Day in and day out. These Sports Turf Stories are a tribute to you and how you do your job. The Charleston RiverDogs field gets a lot of traffic. And not all of it is baseball driven. But 2017 Single A Sports Turf Manager of the Year Mike Williams kept his field going and growing — even after an unfortunate accident with a contaminated sprayer that almost killed his rye grass. With the help of John Deere equipment and local dealer support, he was able to make it through the season. And snag a much deserved honor. Charlotte Knights’ Sport Turf Manager Matt Parrott is a two-time STMA Turf Manger of the Year. Playing consistently at that level takes work. So they always leave everything on the field, with an assist from John Deere Mobile Service and Support. Fall practice is when the fundamentals are hit hard on the baseball field. That includes field maintenance. See how the Cleveland High School Baseball team and local, on-site John Deere Service and Support come together to build one incredible field of dreams. Local, on-site John Deere Service and Support at Cleveland High School keeps baseball hot year round. 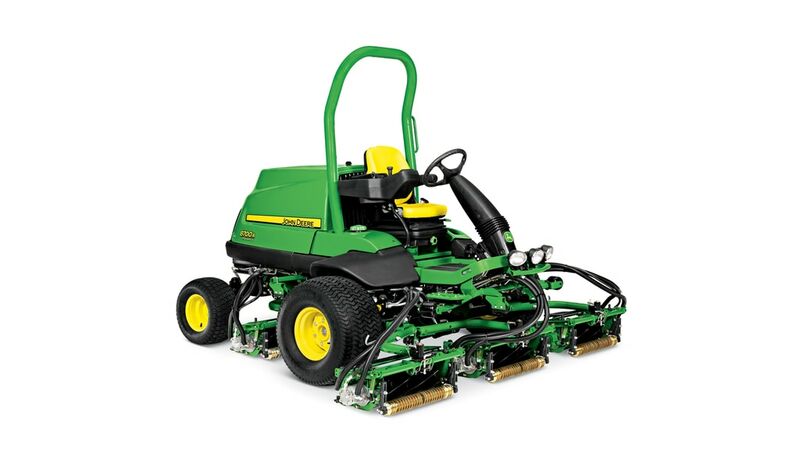 Cleveland High School uses John Deere refurbished reel mowers and other John Deere equipment to maintain sports turf fields at championship levels. 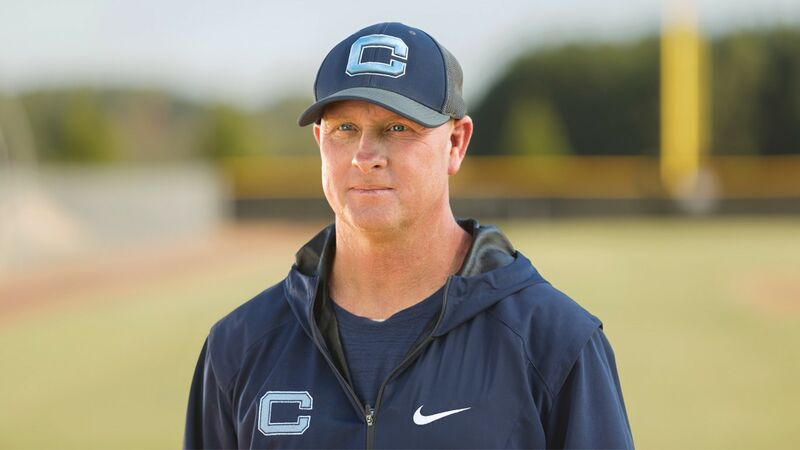 Jamie Lee, baseball coach and Athletic Director at Cleveland High School, talks teamwork, practice, service and support. Read all about it. For the turf manager and his crew, the real action at the 2015 Girls Bethesda Premier Cup happened the week before. The Maryland SoccerPlex has a story. See why John Deere is trusted by the best. Cool season grasses deserve the best - see the equipment the Maryland SoccerPlex uses to maintain its fields. The Maryland SoccerPlex leases all its John Deere reel mowers. See why. Most jobs take more than a two-man crew at the Maryland SoccerPlex. See the Gator UV that's big enough to handle it all. Reel mowers keep it real. To lease or not to lease? UCF talks advantages. See how WakeMed Soccer Park’s commitment to excellence and safety is put to the test. Wake Med Soccer Park in Cary, NC keeps it's Pro quality soccer fields cut at 3/4-in with John Deere 8700 Reel Mowers and groomers. See why John Deere Reel Mowers are trusted on the best courses on Earth for yourself. Washington, DC was rocked by a 5.8 magnitude earthquake and buffeted by brutal winds as well as hammered by pounding rain back in 2011. The event cracked the Washington Monument. The repairs were completed and the Washington Monument re-opened May 12, 2014. But in many ways the work to save the entire National Mall has just begun. Get to know the National Mall. See how it has served as a world stage during critical points in our country's great history. Learn the full story about John Deere's donation of equipment for America. And find out how you can help, too. Perfect playing surfaces don't happen overnight. It takes proper soil preparation, accurate seeding, and precision mowing equipment to make your field the best it can be. Ask your local dealer about which products can help your field be the best it can be, plus service and support plans to make sure your equipment stays in top shape. Did you know that you may be able to purchase or lease equipment through eligible state, local and cooperative purchasing contracts? Browse our lookup tool to see what's available. The National Mall has a story. Restoring America's Front Yard. See the story behind John Deere's donation of equipment and find out how you can help, too. The association is the recognized leader in strengthening the sports turf industry and provides many opportunities for members to gain new competencies and add new skills. Experience a common-sense approach to saving time and increasing productivity.